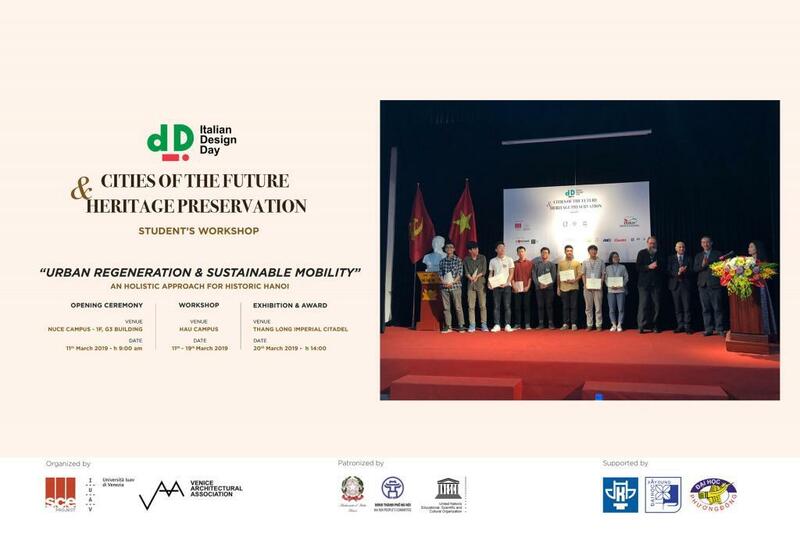 Under the sponsorship of the Embassy of Italy in Hanoi, the Hanoi People’s Committee and the UNESCO Vietnam, SCE Project ASIA and IUAV of Venice organize an event in Hanoi on 20th and 21st March 2019, within the 3rd Italian Design Day: “Cities of the Future & Heritage Preservation”. 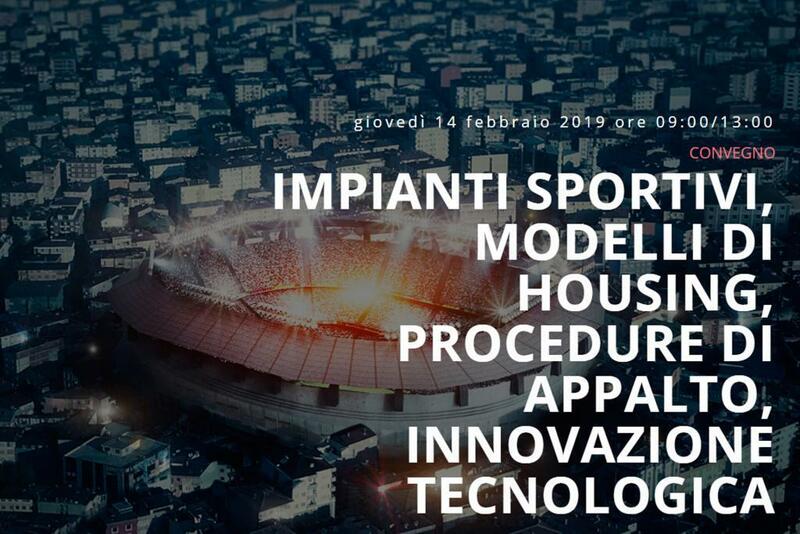 Mr. Michele De Lucchi (Architect), as “Ambassador of the Italian Design in Vietnam 2019”, and other representatives of the institutional, academic and professional world will intervene to this event. The aim is to contribute to the ongoing debate between the operators of this sector and the public in general, on the necessity to combine the growth of Hanoi as “smart city” with the conservation and the valorisation of its wide architectual, historic and cultural heritage, especially looking at a sustainable development of the touristic services. Hanoi, as well as many other Asian realities, is facing more and more the challenge to combine the dynamic urban development with the maintenance of its strong cultural identity. Over the past few years, thanks to the growing internationalisation of this country, the debate about the conservation of the historical heritage has been the main point within the local institutions’ agenda; they started to plan new approaches and such a relevant topic for a “smart” development of the Vietnamese capital, finding enthusiastic collaboration and support from the President of the Hanoi People’s Committee, Nguyen Duc Chung. 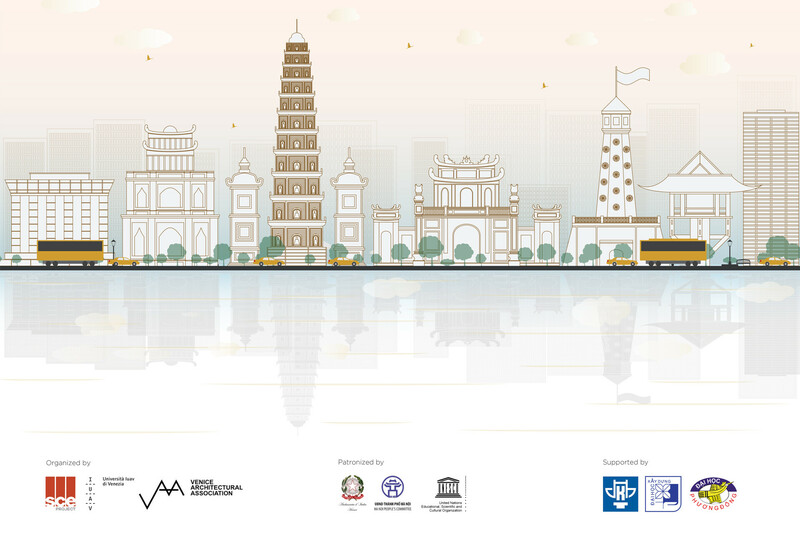 Before its stop in Vietnam, the event will be preceded by an academic workshop from March 11th at the Hanoi Architectural University with the cooperation of NUCE (National University of Civil Engineering) and Phuong Dong University where there will be discussions on notions of conservative urban design, organized by IUAV of Venice with the support of SCE Project Asia. 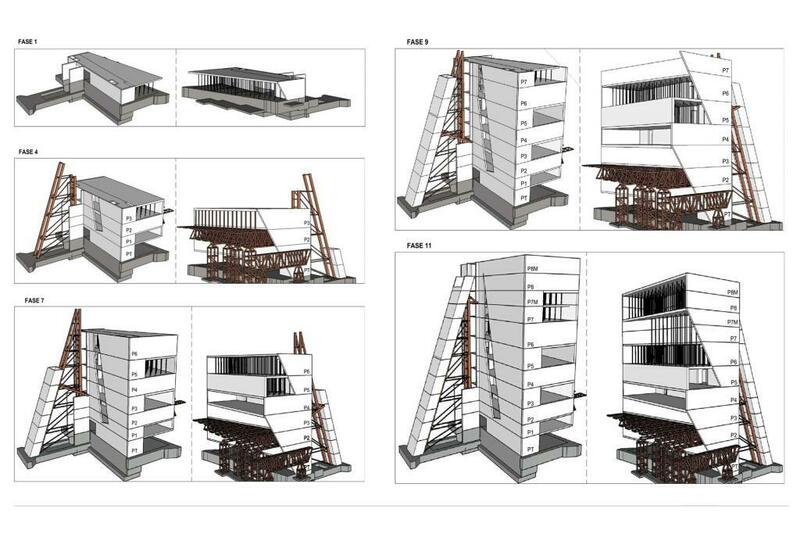 This meeting will focus on a common thought about nature and future of the Hanoi old quarter, through an architectural exercise based on the analysis of one of its most iconic site: Hoan Kiếm lake. This workshop will be coordinated by Mr. Luigi Croce, architect, director and founder of “Associazione Architetti di Venezia” and Coordinator of the Master course “Conservazione e Sostenibilita Culturale” at the University of Venice. The workshop will be launched at NUCE Campus where an opening ceremony will be held and it will continue with a series of lectures for 5 days at HAU Campus. The best projects will be exhibited at the Thang Long Citadel on the 20th of March where a design award will be also presented by Mr Michele De Lucchi. On March 20th will be celebrated the event dedicated to the historical heritage and its restoration at the IDD Vietnam – Italian Design Day. A full day debate at the Imperial Citadel in Hanoi, open to the general public and dedicated to the strategies, techniques and technologies. 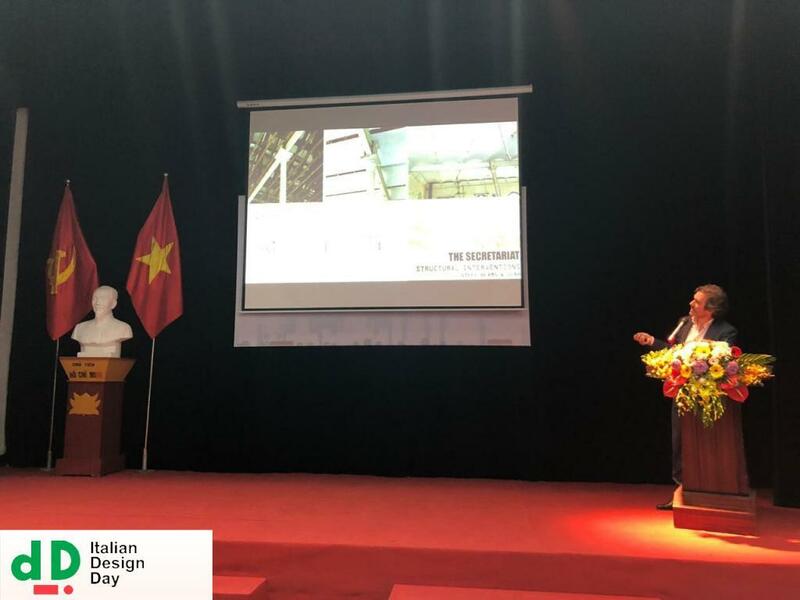 Italian and Vietnamese experts will meet to share experience and to present the latest update making the conservation of the historical heritage available to the general public. On the same day, the results of the work done by the students during the workshop will be presented. On March 21th there will be a closed-door symposium dedicated to private and institutional investors, where thematics regarding the “economic benefits” that come from conservation and reusing of historical goods will be discussed. The event will take place at Sofitel Legend Metropole Hotel in Hanoi, one of the most famous “cases of success” regarding adaptive reuse of a historical building in Vietnam. 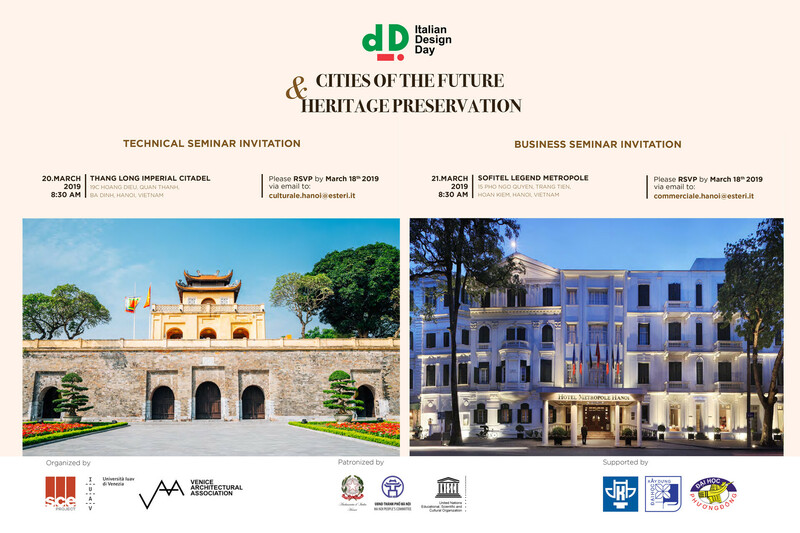 Defending the priority of heritage preservation and restoration at the IDD Vietnam is part of an ambitious program, which will include the most important cities in South-East Asia. The first meeting was held in Burma on September 2018 at the prestigious Tourism Myanmar Building and the Rosewood Hotel of Yangon thanks to the collaboration between the Italian Embassy in Yangon, IUAV of Venice and the creator of “Heritage Preservation”, the architect Mr. Luigi Campanale, CEO of SCE Project ASIA. After Yangon and Hanoi, SCE Projest ASIA will organize a third appointment in Kuala Lumpur in Malaysia, on October 2019. The long-term aim from Mr. Campanale is to “institutionalise” and extend this appointment to all the main Asian cities, by starting collaborations with institutions and private foundations.